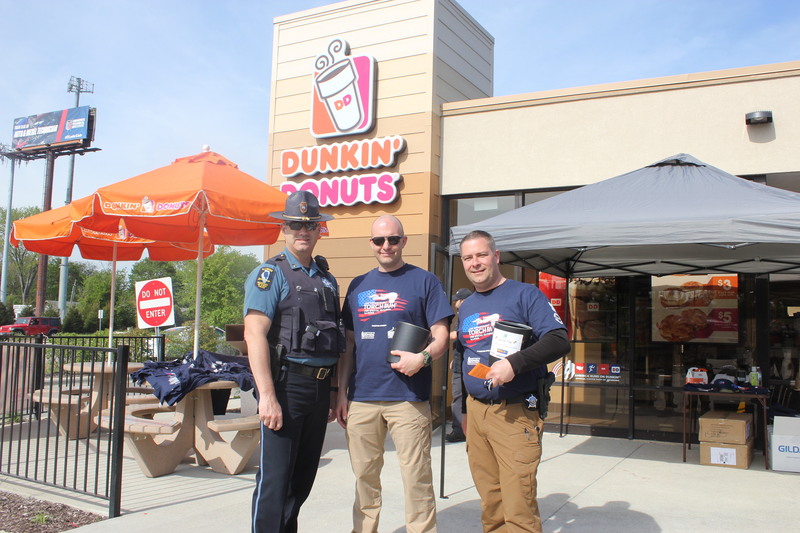 Today hundreds of police officers across Illinois participated in “Cop on a Rooftop” at various Dunkin’ Donuts locations to raise money for Special Olympics Illinois. Many Teamsters, along with their fellow brothers and sisters in blue, were on the rooftops and in parking lots this morning and we can’t wait to hear how much they raised for Special Olympics. Pictured above are Teamsters from the Illinois Secretary of State Police, Illinois State Police Master Sergeants, Markham Police Department and the Burr Ridge Police Department. 2018 marks the 16th Anniversary of the Dunkin’ Donuts “Cop on a Rooftop” event with the Law Enforcement Torch Run for Special Olympics Illinois. This event has been a huge success over the years, raising more than $3.9 million through this great partnership. With 293 locations participating, the officers hope to raise more than $720,000 for the athletes of Special Olympics Illinois.